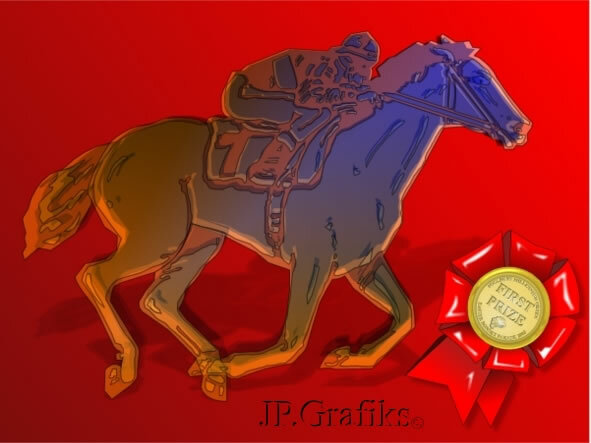 1st Prize This pic was created to Advertise A Race Night for a local horse race meet. It is made up of transparencies of colour layered over a horse and jockey which were drawn months ago for a news letter article. The Red Rosette was printed and used to make prize rosettes for an Easter Bonnet Parade.